Richardson referred to these kinds of showdowns, like one that happened between a Chinese and American destroyer in the South China Sea last year when the two warships came within a couple dozen yards of each other, as "gray-zone" conflicts. "[T]he Chinese navy is growing; there's going to be more opportunities where we meet," Richardson said, "and so these rules are going to be operative more and more. We should approach each other all the way down to the tactical level, our front-line commanders, in ways that actually make it easy for us to adhere to these rules of behavior." "[F]irst of all, we do have an operational construct that is designed to minimize the chance of miscalculation when two of our ships meet on the high seas," said Richardson, who is the highest-ranking officer of the Navy. That rulebook is called the Code of Unplanned Encounters at Sea, but the admiral said more structure was needed for these "gray-zones." "So let's not be obstructing one another, driving our ships in front of one another, throwing obstacles in front of the ship. 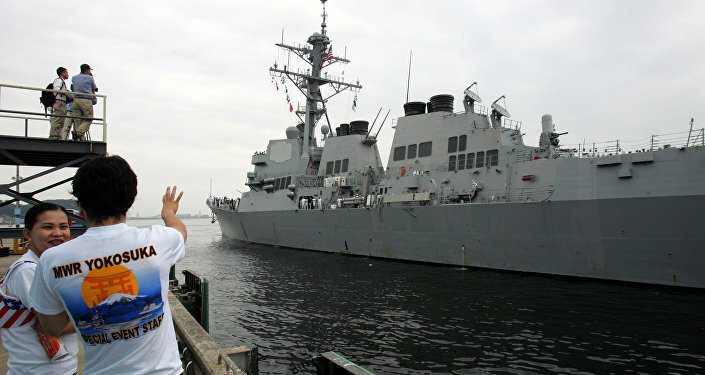 Let's just be biased towards making it easy," Richardson said, according to USNI. "[T]hese rules have to apply to all of the forces — so it can't just be the People's Liberation Army Navy to which they apply, but it's also got to be the [China] Coast Guard, and it's also got to be the Maritime Militia, and everybody's got to abide by these. Being more insistent about those would be a good first start." 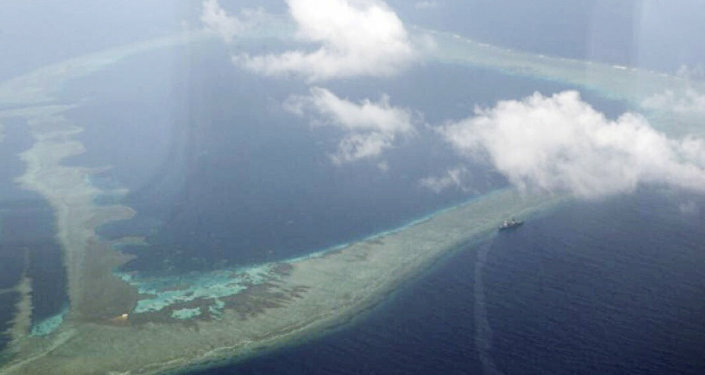 China's Maritime Militia has played a key role in its expansion and marking of claims on South China Sea islands in recent decades, and the irregular forces have frequently been on the front lines of quarrels with other nations' fishing vessels in the region, Foreign Affairs noted. 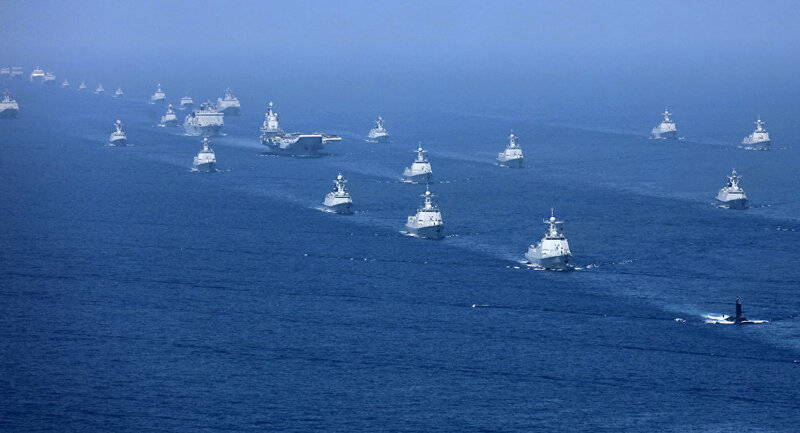 However, Beijing claims those ships and crews aren't controlled by the People's Liberation Army-Navy, which makes regulating their conduct difficult, the South China Morning Post reported. AIS is "a shipboard broadcast system that acts like a transponder… that is capable of handling well over 4,500 reports per minute and updates as often as every two seconds. It uses Self-Organizing Time Division Multiple Access (SOTDMA) technology to meet this high broadcast rate and ensure reliable ship-to-ship operation," according to a US Coast Guard information sheet. "[J]ust putting in some of these enforcement mechanisms makes it harder to play fast and loose with the rules," the admiral said. "But you've got to make a move to enforce those things. I think a lot of that structure exists, it's just we've got to be a little more muscular in enforcing it." Finding a way to regulate encounters between the two navies is a pressing need because of the frequency with which they come into contact in the waterway. As the US doesn't recognize Chinese claims to most of the islands in the South China Sea, it regularly violates what China considers to be its domestic waters by conducting what it calls "Freedom of Navigation Operations." 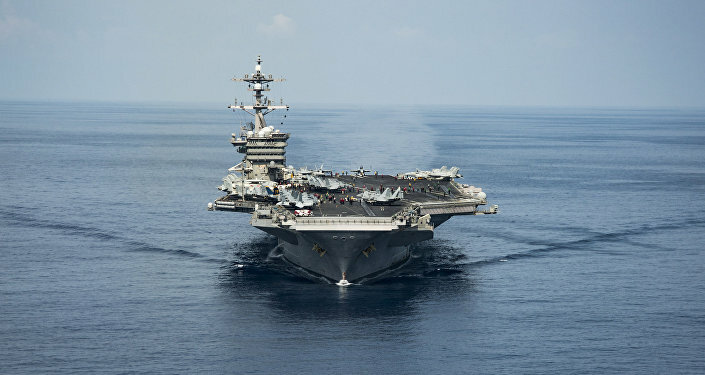 The PLAN challenges US ships or those of its allies, such as the UK and Japan, as they conduct these operations, and the episodes can be quite intense. The waterway is no small prize, either. Aside from the estimated $3 trillion in trade that passes through it annually, there's estimated to be 11 billion barrels of untapped oil and 190 trillion cubic feet of natural gas underneath its sea floor, National Interest noted. Six nations have laid claim to some parts of the sea, including China, Taiwan, Philippines, Brunei, Malaysia and Vietnam.